Either because the acquisition wasn't big enough or the product lines are too similar, the merger of two warranty-providing manufacturers has little effect upon the baseline warranty expense rates of the combined companies. But sometimes it does, and here are seven examples where expense rates change noticeably. In last week's newsletter, we found that corporate relocations outside the United States have little effect upon warranty expense rates, despite the changes in geography, sovereignty, and tax rates. More important, we found, was the composition of the acquired company's product line, and the relative size of the companies involved in the merger. This week, we're looking at mergers completed since the beginning of 2010, where the acquiring partner reported the addition of the acquired company's warranty reserves to its own. There have been 182 such mergers in the past six years, including 41 where the balance of warranty reserves acquired was in excess of $10 million. That $10 million threshold is important, because only a few hundred U.S.-based companies and no more than a few dozen international companies have ever reported having more than $10 million in warranty reserves on hand. So a report of an acquisition this large or even bigger is a mark of its significance: These are serious warranty providers. However, we also want there to have been a sufficient amount of time to have passed to allow the blending of the product lines to begin to show itself in the warranty expense rates. So we eliminated 13 of the 41 mergers that had closed since the beginning of 2014. We'll wait for another year or two to go back and look at them again. Of the remaining 28, only seven showed any visible effect of the merger in the before and after of their warranty expense rates, while 21 did not. In other words, in three out of four cases, there was no visible difference in the before and after expense rates. Therefore, in 75% of the biggest warranty-related mergers of 2010 to 2013, we can say that the warranty cost profile of the newly-acquired product lines weren't all that different from the pre-existing product lines. However, we still found something curious among the mergers that showed no change in warranty costs. In four of the mergers -- Actuant Corp., Advanced Energy Industries Inc., Clarcor Inc., and Colfax Corp. -- the amount of warranty reserves they still had on hand at the end of 2015 was far less than the amounts they acquired during the merger. In other words, they acquired it and spent it, and then some. In at least eight more cases, they acquired it and spent most of it. They didn't leave it lying around. Once again, their claims rates or accrual rates did not change appreciably from before the merger, so it's not likely that they spent the excess amount of acquired reserves on an elevated level of claims. Instead, they either made withdrawals from the warranty reserve or kept their own accruals on the low side, in an effort to reduce the balance over time. So perhaps companies with excess reserves should be aware that it could help attract merger offers? But let's get back to the seven companies where the acquired product line seems to have affected the combined warranty expense rates. In the following seven charts, we've inserted a vertical black line to mark when the merger took place. Three saw increases and four saw decreases in the years afterwards. Figure 1 is perhaps the best example of the seven. On March 12, 2010, the company simply known as the Stanley Works acquired Black & Decker Corp., and changed its name to reflect the merger. It wasn't any manufacturing crisis that drew expense rates higher. Rather, it was the simple combination of the two companies' warranty expenses. Valued at $4.657 billion, this was then-167-year-old Stanley Works' biggest-ever acquisition, and it really was more of a merger of equals, since former Stanley Works shareholders ended up owning 50.5% of the combined company's stock. That's why this deal prompted the company to change its name. At the time, Stanley Works was regularly reporting warranty expense rates around 0.6% of its power tools and hardware revenue. But with the addition of Black & Decker's product line, rates quickly rose above one percent. In the years before the merger, Black & Decker was regularly reporting warranty expense rates in the range of 1.8% to 2.0%. So when this merger of equals finally closed in 2010, it was a wonder that their combined warranty expense rates didn't go even higher than 1.1%. But we note that in early 2016, the combined company has gotten its expense rates back down to 0.8%. Next we look at a pair of market-leading hard disk drive companies that have each made numerous acquisitions over the years. But the two big ones that we're focusing on came within months of each other in late 2011 and early 2012. Seagate kicked things off with its acquisition of Samsung's hard disk drive business on December 19, 2011. Then a few months later, Western Digital acquired Hitachi Global Storage Technologies in a transaction that closed on March 8, 2012. As a result, Seagate added $69 million to its warranty reserves in late 2011, while Western Digital added $139 million to its warranty reserves in early 2012. In Figure 2, we can't help but notice a drop in Western Digital's warranty expense rates since 2011. And in Figure 3, we see the same effect in Seagate's post-acquisition expense rates. Are these the result of Hitachi's and Samsung's product lines blending into the parent companies? Or is it something else? We have no data from the acquired companies. Samsung has never published any warranty expense data for any of its product lines, and the product line of Hitachi Ltd. is too diversified to permit any isolation of just its hard drive warranty costs (see Figures 1 & 2 in the July 14 newsletter for more on Hitachi). Furthermore, as big as these acquisitions were, they were made by companies that were already very large. Seagate paid roughly $1.1 billion for Samsung's hard drive product line, paying for it with 45.2 million shares worth roughly $530 million, plus $571 million in cash. Seagate was also repurchasing its own shares on the open market at the time, so depending upon whether it's measured from the beginning or the end of that fiscal year, the 45.2 million shares represented between 10.6% and 11.4% of its total of outstanding shares. Western Digital paid roughly $4.7 billion for HGST, paying for it with a mix of cash, debt, and common shares. The company said that after issuing 25 million shares to Hitachi, the conglomerate owned approximately 10% of Western Digital. Notably, considering the topic of last week's newsletter, the transaction was completed through the wholly-owned subsidiary Western Digital Ireland (Seagate, as we noted, was re-incorporated in the Cayman Islands in 2000 -- years before it began publishing its warranty expenses -- though it moved to Ireland in 2010). Seagate also made a sizeable acquisition of Maxtor Corp. back in 2006, which we wrote about in a 2007 newsletter about warranty mergers (see figure 4 in that column). The point we made then was that the amount of claims paid by Seagate plus Maxtor in the years before the merger was approximately equal to the claims cost of the combined companies since the merger. In Figure 3 below, however, we can see that Seagate's claims rate, which is calculated by dividing claims payments by product revenue, actually shot up in the second half of 2006 and for most of 2007. But it's also clear that since acquiring Samsung's hard disk drive business four and a half years ago, Seagate's warranty expense rates have fallen sharply and steadily. In fact, its lowest-ever accrual rate (0.9%) was reported in the quarter ended March 30, 2012, immediately after the acquisition. There's another falling warranty cost story to be found in the claims and accrual data reported by Danaher Corp., though whether it can be linked to its acquisitions is a tenuous task. In fact, the financial measures would suggest quite the opposite. On June 30, 2011, Danaher acquired Beckman Coulter Inc., and reported the addition of $20.6 million in warranty reserves to its own fund. Ordinarily, this would be no big deal, since Danaher has acquired more than 400 companies since 1984. But none have brought with them that much money in terms of warranty reserves. So even for an acquisitive company, this was a big deal. For most of its reporting life, Beckman Coulter had reported elevated warranty expense rates of three to five percent. In fact, in its final financial report as a separate company, the company set aside $11.9 million in warranty accruals, against $144 million in medical instrument sales, for an accrual rate of 8.3%. At the time, it had received a warning letter from the U.S. Food and Drug Administration relating to its lack of appropriate product clearances, and was working on obtaining those clearances. The point is, it's highly unlikely that Danaher's warranty expense rates went down because of the addition of Beckman Coulter's product line to its own. Instead, we would have to believe that because of the cost of those FDA problems, those claims and accrual rates declined in spite of the addition of Beckman Coulter's product line. In fact, if you really look at it, the downward trend in Figure 4 seems to begin in early 2010 -- 18 months before the Beckman Coulter acquisition. Danaher's accrual rate, which peaked at 1.1% in early 2010, was down to 0.8% by the middle of 2011. Its claims rate fell from 0.9% to 0.8% over the same period. By the middle of 2016, both expense rates were approaching 0.5%. Helen of Troy is another company that we mentioned in last week's newsletter as having completed its U.S. exit before warranty expense reporting began in 2003. In fact, the personal appliance company moved from Texas to Bermuda in 1994. In Figure 5, we've marked a line where the company completed the acquisition of Kaz Inc., which resulted in the addition of $20.6 million in acquired warranty reserves to its own $5.25 million reserve fund. Yes, that's correct: the company acquired nearly four times as much warranty reserves as it held at the time. The warranty expense data looks about as chaotic before the merger as it does after it. There was a brief year of steady expense rates before the merger, but sadly that was the result of Helen of Troy ceasing its quarterly expense reports, forcing us to average its annual data across four quarters. As soon as it resumed quarterly reports, its expense rates once again began to bounce up and down by three or even four percentage points within a year. Kaz manufactured humidifiers, de-humidifiers, vaporizers, thermometers, air purifiers, fans, portable heaters, heating pads and electronic mosquito traps, which were all incorporated into a new Healthcare/Home Environment Segment after the acquisition was completed. Before the merger, Helen of Troy has its own personal appliance product lines and warranty expenses, but it also sells a lot of non-warranted cosmetics and consumer goods such as Pert Plus shampoo, Vidal Sassoon and Revlon hair care products, OxyRub pain relief cream, Dr. Scholl's foot products, Brut cologne, and Sure antiperspirant. If there was a way to subtract these non-warranted products from the sales totals used to calculate the expense rates above, those rates would go even higher, because the same amount of warranty cost would be spread over less revenue, resulting in higher percentage rates. But separation is not possible for an external observer. Even before the merger, the company reported its	non-warranted "grooming, skin care and hair care solutions" bundled with its warranted "retail and professional appliances and accessories" in a Personal Care Segment. The other product segment, called Housewares, is also a messy mix of both warranted and non-warranted products, including coffee makers, egg beaters, food storage containers, rechargeable lighting products, cleaning products, and baby and toddler care products. Also in last week's newsletter, we mentioned that the transition from the Georgia-based Arris Group Inc. to the UK-based Arris International Ltd. had taken place too recently to allow us to see if its pre- and post-emigration expense rates were different (the transactions associated with the move were completed from April to June 2015). That is still the case. However, while looking at the 41 acquisitions completed since 2010 that involved the transfer of $10 million or more in warranty reserves, we were surprised to find that Arris Group acquired the Motorola Home business from a Google subsidiary named General Instrument Holdings Inc. on April 17, 2013. As a result of that transaction, the Arris Group transferred nearly $65.5 million to its own warranty reserve, which had barely $6 million in it at the time. Yes, while for Helen of Troy the ratio was nearly 4:1 between existing reserves and acquired reserves, here the ratio was nearly 11:1. One reason might be the change in customer focus that came with the acquisition. Before the merger, Arris focused primarily on products needed by the U.S.-based cable TV companies it served. After, its focus expanded worldwide, and its consumer-aimed product line grew with the addition of set-top boxes and cable modems that were designed to be used on the customer's own premises. In its own words, "We believe the acquisition enhances our ability to provide next-generation consumer video products and services, supporting a more comprehensive product offering while also accelerating our ability to deliver a comprehensive set of industry-leading new products to a wide spectrum of customers. We more than doubled in size as a result of the acquisition, which had significant effects on virtually every aspect of our business..."
In Figure 6 below, we're going to suggest that if the company's warranty expense rates in 2011 and 2012 look both low and steady, its post-merger expense rates are anything but. Then again, these past few years look good compared to the highly-volatile expense rates it reported from 2003 to 2005. Finally, we're going to look at a mattress company where there's no doubt that the company's post-merger warranty costs went up. But it's still not clear if that should be blamed on the product, the people, or the processes they use to manage their warranty costs. On March 18, 2013, mattresses and pillow manufacturer Tempur-Pedic International Inc. acquired Sealy Corp., then the market-leading owners of the Sealy Posturepedic, Stearns & Foster, Embody, Carrington Chase, and Bassett brand names of bedding. It then changed its name to Tempur Sealy International Inc.
At the time of the merger, the company reported the addition of $16.9 million in acquired warranty reserves to its own fund, which then held $4.8 million. So at least in warranty terms, it wasn't quite as massive as either Arris' or Helen of Troy's outsized acquisitions. But it still put Tempur Pedic into the big leagues, boosting its warranty reserves to $26.1 million by the end of that year. In early 2014, warranty expenses soared, as can be seen below in Figure 7. The company's claims rate rose to 2.3%, while its accrual rate topped out at 2.6%. The company never announced a reason for the sudden spike. In fact, since it provided only the totals for claims and accruals, it never reported the existence of the spike. That requires the expense total to be divided by the sales total, to calculate a percentage rate. Instead, Tempur Sealy merely reported that its mattress warranties lasted for 10 to 25 years, with the coverage for the last 10 years of the longest warranties usually pro-rated on a straight-line basis. And it reported what share of warranty reserves was classified as current and non-current. But it didn't note that expense rates in early 2014 were substantially different than in early 2013. The before and after difference is plain to see in Figure 7. Even ignoring the spike, it's clear that from 2006 until the Sealy acquisition, the company's warranty expense rates remained very close to a 0.5% baseline. After the merger, the expense rates were at least twice as high as before it. Whatever the cause, we should note that this outcome is exactly opposite to what one would expect. Part of the attraction of the Tempur brand has been the adjustable height of the bed frames, which sell separately from the mattresses at prices up to $5,000 per unit. And part of the attraction has been the use of "memory foam,", a new material which allows the contour of the mattress to mold more closely to that of its owners. Moving parts, lofty prices and high-technology materials? Sounds like a recipe for higher warranty costs, especially compared to conventional mattresses that don't move and haven't changed much in a century. But it's precisely the opposite: the newcomer apparently had warranty expense rates no more than half as high as the old guard. NIADA works with Warrantech & Carfax for certified pre-owned program. Ben Moss diamond warranty gone like a thief in the night. 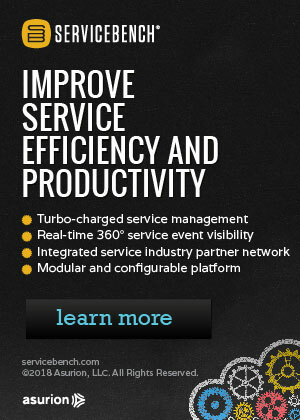 Extended Warranty and Service Contract Innovations Summit sets schedule. GWC Warranty has paid $400 million in claims; EasyCare at $3.1 billion. Wanted Auto Protect of New Jersey goes out of business. Home warranty delays have customers sweating repairs. LG Electronics uses InPost to streamline its warranty repair service. GlaxoSmithKline plans warranty on Strimvelis for bubble boy disease. Honda dealer finally makes good on extended warranty reimbursement pledge. Fiat Chrysler recalls 9-speed transmission made by ZF. AUL's Jimmy Atkinson talks warranty and service contract trends. Mitsubishi Motors Malaysia unveils 5-year warranty sales promotion. Beware of third-party extended car warranties. Consumers need more education about home warranties. Samsung offers 10-year screen burn warranty on SUHD Quantum dot TVs. Snap-on Business Solutions to integrate i3 Brands' PartProtection Platform. AIG's combined ratio climbs above 102% in second quarter. AmTrust extended warranty gross written premium rises 22% in first half. Ben Moss Jewellers going out of business, taking its warranties with it. Warranty Wise owner live tweets his Mercedes breakdown. Fitbit says gross margins fell because of boost in warranty reserves. American Axle to open Advanced Technology Development Center in Detroit. GameStop buys 3 more national AT&T authorized retail chains. Warwick Analytics says big data analytics is transforming manufacturing. TRP announces new warranty for performance-tested air springs. Better Business Bureau warns consumers about home warranty companies. FCA to continue mandated monthly meetings with NHTSA. AXA to sell warranty and online payment protection on Alibaba website. Guide to warranties on a dozen car brands sold in India. TreadWright Tires sells 2-year road-hazard extended warranties. AA Warranties and Motorway Direct underwriter goes into liquidation. Harley-Davidson clutch recall driven by pattern in warranty data. Refunds go out to consumers caught in warranty scam. Interstate National uses RestorePoint's Data Virtualization platform. West Virginia University sues Jacobs Facilities over leaky roof. Fiat Chrysler's warranty data analysis led to wire harness recall.